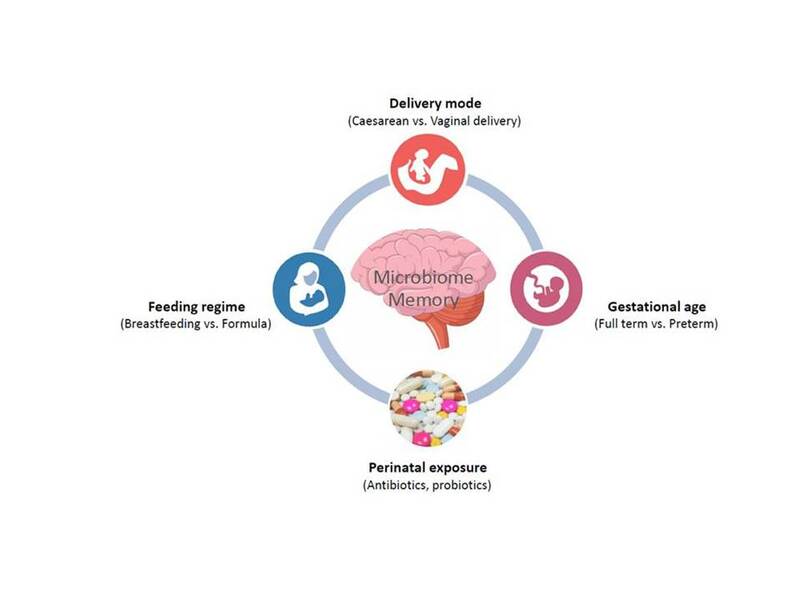 In our research, as part of the INFANTMET study, we demonstrated that the gut microbiome of infants is significantly impacted by delivery mode and breastfeeding. Our research clearly demonstrated that the beneficial effects of breastfeeding were even greater in those born by Caesarean delivery, suggesting that breastfeeding may be a suitable way to beneficially modulate the gut bacteria in Caesarean delivered infants to more closely resemble those born vaginally. While our research resulted in interesting findings about early life microbiome development, we were interested in further studying the development of the microbiome through the first four years of life. Is it possible that when you are born i.e. full term or preterm (<35 weeks gestation) or how you are born (Caesarean or vaginally delivered), could result in lasting effects on the gut microbiome? To answer these questions we collected faecal samples from these infants during the first four years of life, extracted the bacterial DNA (which represents the gut microbiome) and sequenced this DNA using next-generation technologies. This technology enabled us to determine what bacteria are present in the gut and explore the microbiota composition of these children in early life. In line with existing data, our study confirms the continued development and maturation of the gut microbiota during the initial years of life. We identified an increase in gut microbiota diversity with increasing age to four years, with the greatest significant difference found between children at years one and year four. The results showed that gestational age at birth continued to impact diversity during the first four years of life. Those born full tern had the highest diversity at one, two and four years of age, while preterm infants had lower diversity. Furthermore, some bacteria e.g. Bacteroidetes significantly decreased with age in children born full term; however, the opposite occurred in those born preterm, demonstrating the sustained impact of gestational age on gut microbiome development. Certain microbes were also capable of discriminating between children up to four years based on gestational age at birth e.g. at one year, Bacteroides and Faecalibacterium best discriminated those born full term, while Lactobacillus was the most discriminative bacteria for preterm born individuals. Our results show that the gut microbiome has a microbial memory of early life events that continue to imprint on the microbiome at four years of age. This is extremely important as now worldwide over 10% of babies are born prematurely annually. Therefore, we must consider the sustained impact of prematurity on the gut microbiome, as it may have significant implications for nutrition and health.